News: Google's latest research project equips smartphones with the ability to map their surroundings and build navigable three-dimensional virtual environments that can be used to give directions indoors. Google's hope is that the phone could give precise directions to any given point, inside or outside, by learning the dimensions of spaces just through moving around them. "What if directions to a new location didn’t stop at the street address?" said a statement on the project website. "What if you never again found yourself lost in a new building?" 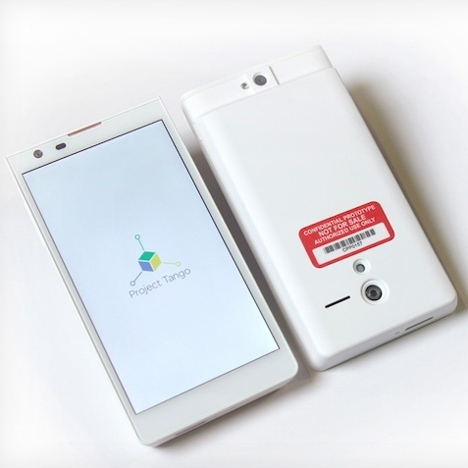 The Tango device works by using a motion-tracking camera and depth sensor built into a prototype Android smartphone. As the user walks around pointing the camera at what it sees, the sensors in the phone take 250,000 measurements of its surroundings every second and fuses this information into a three-dimensional map. The tech giant has made 200 of the devices to give to software developers so they can design and build new mapping tools, games and algorithms. While the initial application is to help create better navigation tools, Tango could be used to create augmented reality games or assist visually impaired users when they're attempting to navigate an unfamiliar area. It could also be used to give precise measurements of each room in your house, so if you're wondering whether that new sofa will fit into your living room, Tango will be able to tell you. The project has been developed by the tech giant's Advanced Technology and Projects group, which is one of the few remaining acquired parts of Motorola that Google decided to hang onto when it subsequently sold the company to Lenovo. Other projects to emerge out of Motorola include Project Ara, a modular smartphone that allows users to create their dream smartphone via a series of customisable building blocks.